TomTom told us that its long-awaited iPhone navigation app and in-car mounting kit would be landing "this summer," and at least on our watch, summertime is quickly drawing to a close. If a pre-order listing over at Handtec is to be believed, it looks as if the outfit is exceedingly close to finally having both the software and hardware ready for shipping. 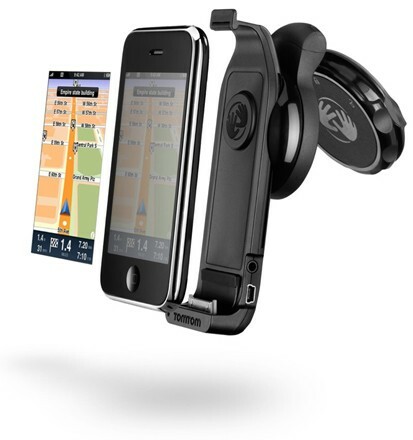 The £113.85 ($194) asking price includes a suction mount for your iPhone as well as the mapping software, though there's no indication of exactly how much the app and hardware will run by themselves. Of course, until the iPhone supports multitasking, using it as a dedicated PND is still a risky move; one stray call during a pivotal moment in your travels and you can consider yourself lost. Oh, and then there's the fact that this thing has a TomTom logo on it -- if the iPhone app functions anything like the company's high-end GO 740 LIVE, we'd say you're better off asking Mr. Gas Station attendant (or buying a different brand). TomTom's iPhone car kit and navigation software priced overseas originally appeared on Engadget Mobile on Thu, 06 Aug 2009 04:44:00 EST. Please see our terms for use of feeds.